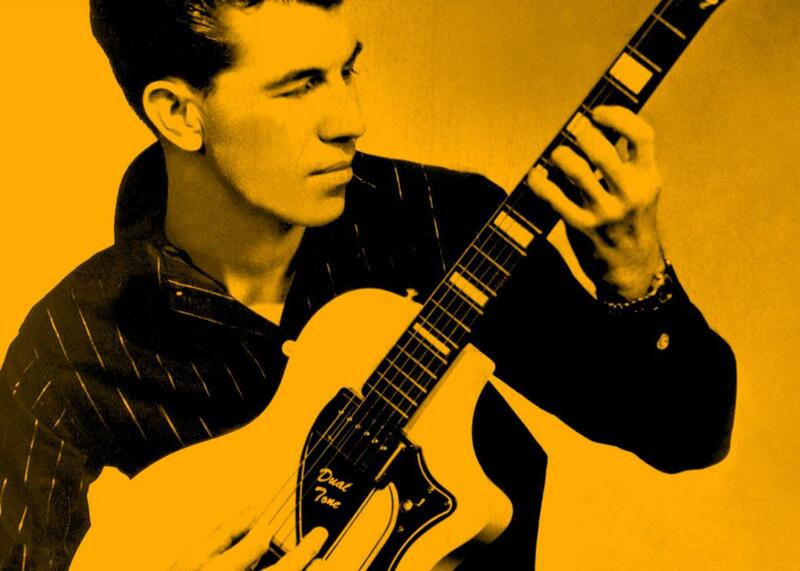 Link Wray’s “Rumble” turns 60. Photo illustration by Slate. Photo by Granamour Weems Collection/Alamy Stock Photo. Young guitarists emulate standard-bearers like the The Who’s Pete Townshend, Led Zeppelin’s Jimmy Page, and Eric Clapton. * But when those guitarists were making their mark in the 1960s, they worshipped their own guitar hero: Link Wray. On this podcast extra, Steven Van Zandt, of Bruce Springsteen’s E Street Band, and James Hutchinson, who plays bass guitar with Bonnie Raitt, weigh in on Wray’s technique and influence. “It’s got to be one of the most basic and yet fundamentally moving songs that have ever been recorded for the purposes of rock music,” says Brian Wright-McLeod, author of The Encyclopedia of Native Music. Guitar player Stevie Salas says Wray was proud of his Native American heritage, and the song’s success turned Wray into an inspiration for other Native American musicians. In fact, the song is in a title of a documentary about Native Americans in rock that Salas produced and appears in—Rumble: The Indians Who Rocked the World. This podcast was produced by Devon Strolovitch and Ben Manilla for BMP Audio. Please remember to like us on our Facebook page and Twitter. Send your emails to incoming@studio360.org. *Correction Sept. 11, 2018: This show page misreported Link Wray as an influence on Dave Davies, a claim that Davies denies.